Your mother will love her new fence! A Mother’s Day gift should come straight from the heart. It should be something that is both pleasant and practical. A balance of fun and useful is going to provide you with the best possible gift for your mother, so why not give her something that can encompass both? A fence can do just that, but if you don’t believe us, then we can show you why. Check out some of the ways that a fence can prove to be the best Mother’s Day gift ever! Hanging out in the backyard is an age old pastime, so how can you improve your experience? 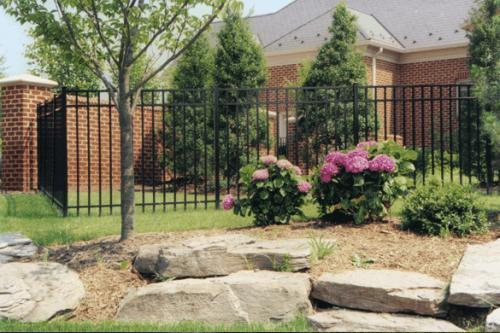 Investing in a fence can add privacy to your backyard bliss. With a fence, you can enjoy the backyard without the prying eyes of the people next door. You can let the dog out to enjoy the yard with you without worrying about him or her escaping. You will be able to truly relax. Your backyard will become a hideaway where your mother can simply sit out and enjoy the sun or a good book. If your mother owns her own home, then a fence can boost the value of her property. Think back on all the times she invested in your future. Now, you have a chance to invest in hers. One day, she may want to sell her home, so boosting the property’s curb appeal is going to help her out in the long run. A fence can boost curb appeal for years to come, as long as it remains in good condition. For a long lasting fence, consider vinyl. A vinyl fence is one of the best fences for those who are looking for a low-maintenance fence that is sure to last a lifetime. Ready to give your mother a fence for Mother’s Day? This entry was posted on Friday, May 8th, 2015 at 2:37 pm. Both comments and pings are currently closed.